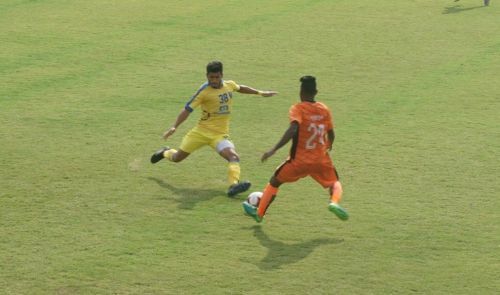 March 09, 2019, Kochi: A determined South United FC went from a winning position to trailing by a goal and finally managed to eke a point out of the game in their final game of the season. What began as a promising game for South United FC with many chances created by them in the first quarter of the game would culminate in the first goal of the game as Rungsing struck in the first minute to give the visitors a slender lead. That lead would barely last two minutes, as some poor play on South United’s part that followed saw Surag Chhetri in space with the ball and the striker made no mistake levelling the tie for KBFC (R). The equaliser calmed early KBFC nerves as they began to stream forward and trouble the SUFC defence. This saw both sides trading blows and at one-point Lathakima earned a caution from the referee as he stopped a promising SUFC attack illegally. 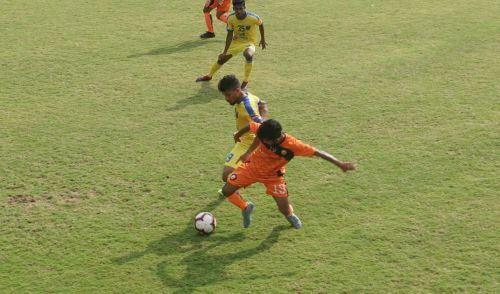 The constant pressure paid off as they won a penalty in the 26th minute that was converted by their captain Hrishi Dhath. The home side would go into halftime with a 2-1 lead, but with SUFC’s threat apparent, they would have some trouble dealing with them in the second half. South United once again showed their grit in the second half coming out and pressuring KBFC (R) early in the second half as well. The hosts played some good football as well going the other way but weren’t able to kill the game off. South United would make KBFC rue their chances as Aaron struck in the 70th minute to draw his side level once again. With the momentum on their side, the away team pushed for a goal that could give them the victory. In a bid to stop them, Lalthakima made another poor challenge which earned him a second yellow in the 84th minute. South United, however, were not able to capitalise on the extra man advantage in the dying minutes and it ended as a stalemate.